Everyone needs a little glitz and glam in their lives! And the Emeralds provided just that at the Breakfast point country club last week. The girls wowed the audience in bright red suits and beautiful flower caps. The theme of the party was 1960’s summer fun. The Emeralds performers train at the competitive level which is very technical and complex. The swimmers are required move very fast close to other swimmers while holding their breaths. However, the summer 60’s performance was very different, it is all about recreating the classic style of the sport from over 50 year ago. The first synchronised swimmer is in fact an Australian from Marrickville named Annette Kellerman. The Emeralds didn’t have any swings or glass bowls but these pictures proved the Emeralds did justice to the original classic synchro style. 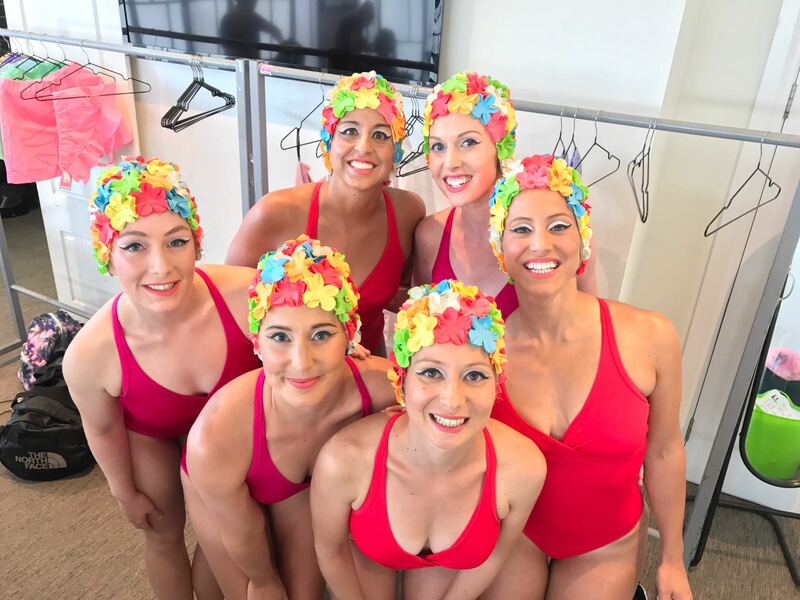 Feel free to message us if you are looking for synchronised swimmers to perform at your next event.